Ikea is demonstrating that big businesses that refuse to make changes to benefit the planet are a load of all balls – meatballs, to be precise. We all know that eating less meat is key to reducing greenhouse gas emissions, so it’s with great aplomb that the Swedish retail giant has announced that it is set to add a meatless meatball option to its menu. 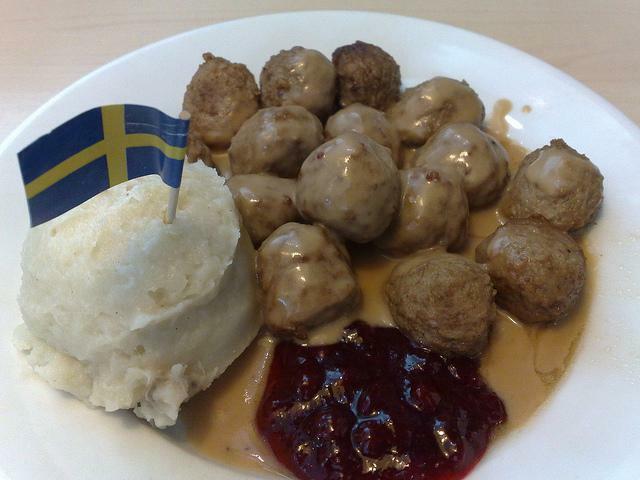 Every year Ikea sells roughly 150 million meatballs made from beef and pork. Following the latest UN report on climate change, the company says it is introducing “lower carbon alternatives” to its popular Swedish meatballs – including a vegetarian version. This is one of the few occasions that a major retailer has introduced a meatless menu item explicitly to combat climate change. Joanna Yarrow, head of sustainability for the company, said that the meatballs the “most carbon intensive” dish on the menu. Stephanie Feldstein, population and sustainability director at the US Center for Biological Diversity, which recently launched a campaign to reduce meat consumption added: “Cutting meat consumption is a vitally important part of reducing our impact on the planet — most people don’t yet realize just how important it is. So I’m happy to see Ikea taking action with its most popular menu item. The Center for Biological Diversity recently launched a new campaign urging Americans to “take extinction off your plate”. The campaign asks people to reduce their environmental footprint and help save wildlife by eating less meat. So far more than 14,000 people have already taken its “Earth-friendly Diet Pledge” to reduce their meat consumption.